What is the Property Flood Resilience Action Plan? The consequences of climate change have struck close to home in recent years with extreme weather and flooding events in the UK, notably in 2013/14 and 2015/16, which caused billions of pounds worth of damage to properties, and devastation and disruption to the lives of thousands of people as a result. Property resilience measures have been identified as a key solution to reducing the costs of repair and recovery time of affected properties, which in turn would hope to minimise the misery and interruption experienced by both families and businesses. The Property Flood Resilience Roundtable, and resultant action plan, is aimed at bringing key business interests together to encourage and enable wider uptake of property level flood resilience within the UK. This contains information about how to identify properties at risk of flooding, what to do in the event of a flood, and finally how to protect properties in flood risk areas. Managed by an industry stakeholder group, this website is a key source of independent flood guidance information and is at the disposal of any private or public sector organisations wishing to use this information. Task Group 4 focuses upon industry collaboration, with a view to identifying gaps in current standards, certifications and skills, and the subsequent development of new guidance documents, testing protocols, training programmes and certification schemes. The BRE Centre for Resilience is also involved in Task Group 5 - Communications and Behaviour Change. This Task Group works in parallel to the other task groups to focus on encouraging people, through awareness, communication and behavioural change, to recognise the need for and increase the uptake of property level resilience. 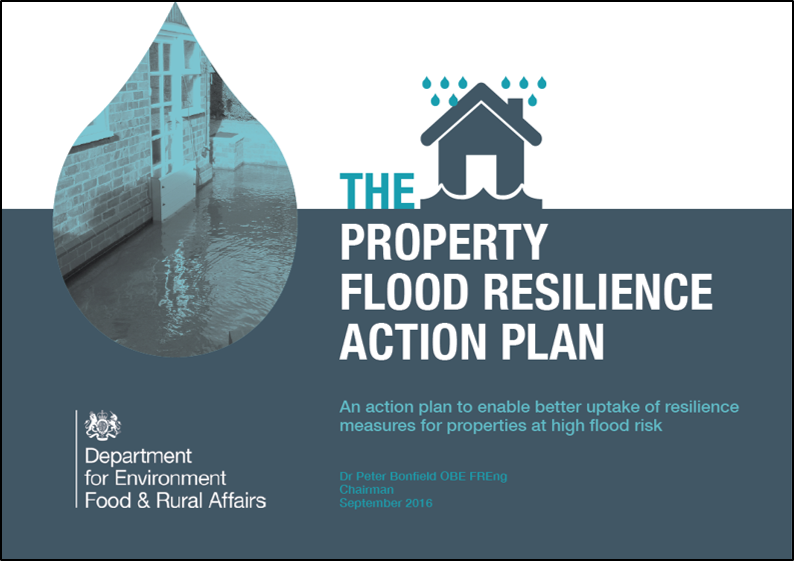 The Property Flood Resilience Action Plan is available in full here.